I know I said I would post on Monday about my weekend in Vegas, but sometimes after hurting your liver the last thing you think about is logging onto your blog and trying to be clever. So here it is some days later. For those counting at home, I will give myself a win for this trip , which brings my all time record against Vegas to a respectable 2-2. I did not win exorbitant sums of money, or go home with Kate Uptonesque girls (Hippos!!! ), but I learned a lot about myself this trip. 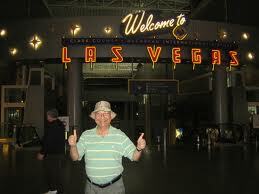 The theme for Vegas 2012 was called Getting Older. From watching 20/20 specials sipping whiskey in my room on a Friday night, to I’ding girls who claimed they were 21 on the strip, to bringing a Dave Eggers novel poolside and actually reading an entire chapter, to shopping for a nice dress shirt at Zara, to asking strippers about their health benefits, it all tied in to that inevitable clock-ticking truth. And I could really care less. I raged hard this weekend, don’t get me wrong. I drank unhealthy amounts of Jack, hollered at girls, bet on stupid things, and saw the sunrise because I know that won’t last, and I’m pretty happy about it. I embrace the fact that Vegas allows me to act like a degenerate for 2 days, but I also embrace my more mature proclivities. So let’s raise our Hennessy and flat red bulls and have a toast. To Vegas 2013! May it be filled with expensive steak houses, spa treatments, and The Blue Man Group. 8:37 PM Friday: Arrive at Treasure Island in an overheated ’65 Mustang. Pit stains non-existent because I’m wearing a Turquoise tank. Swag? 8:59 PM Friday: Fatigued from the hot ride, drink Gatorade and watch the last half of Speed in the room, friends tell me I’ve changed. 10:45 PM Friday: Guy in Ed Hardy shirt asks me “How do you play craps!” Turns out to be an all right guy. 3:17 AM Saturday: Make a terrible order at the Bellagio café such and such. Eat Fish and Chips with drunken 21 year olds from Tacoma. Feel old. 4:10 AM Saturday: Win $300 dollars in Craps; think I know how to win at Craps. 4:25 AM Saturday: Seriously contemplate seeing Carrot Top live. 9:45 AM Saturday: Awoken by friends who convince me to bet actual money on a three team parlay involving the Knick to cover, Pacers to cover and Celtics to win straight up. Good lord that went poorly. 10:30 AM Saturday: Watch first two quarters of the Heat game, want to cry and take a nap. 11:18 AM Saturday: Go to pool, apply sunscreen, look like a geisha girl, and listen to Flo Rida. 11:45 AM Saturday: Flo Rida is still on, and that red German is still dancing in front of the DJ, how is this possible? 1:54 PM Saturday: Stripper asks me where I get my haircut. I reply “At Rudy’s on Sunset” She gets up and walks away. 4:27 PM Saturday: Mustang won’t start for 2 hours. Saved by a redneck. Leave Vegas slightly sun burnt in the company of good friends.